Melbourne DIY band The Burning Roaches are a handful of abrasive, grunge goodness and fuzzy feedback drawing from 90’s nostalgia. Late 2015, the band revealed the first taste of their debut self-titled EP. The single Bad Things saw support from community radio nationally. Having spent the past year writing and recording, the band are ready to drop their raw four-track EP. Each track teeming with gritty riffs and good time spliffs, making The Burning Roaches a gem for fans of garage and grunge in Melbourne's underground live music scene. Get the debut self-titled EP now from their Bandcamp page. 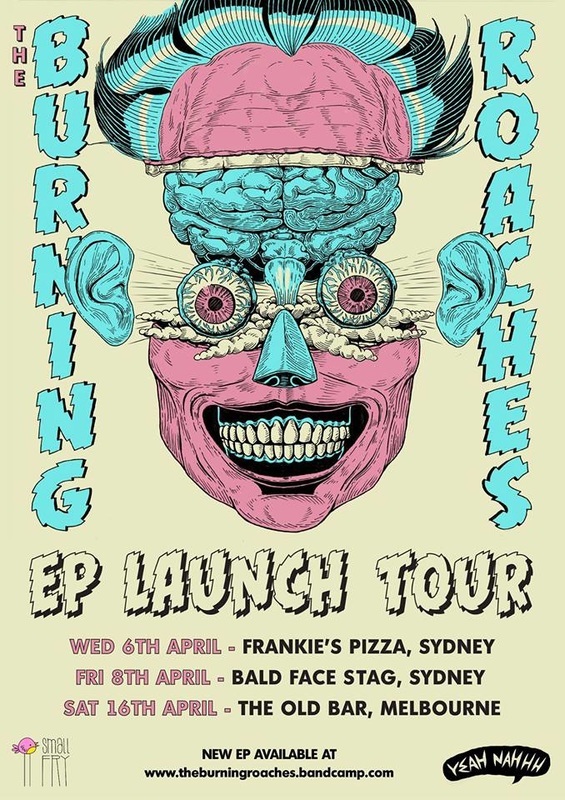 The Burning Roaches are gearing up to launch the EP with live shows in Sydney and Melbourne this April.